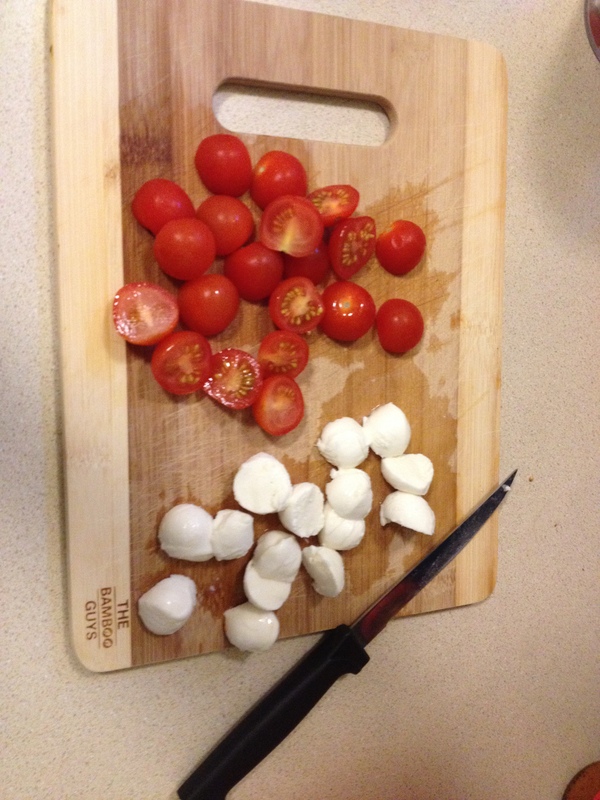 Earlier this week I needed to make dinner, but wanted something relatively quick. 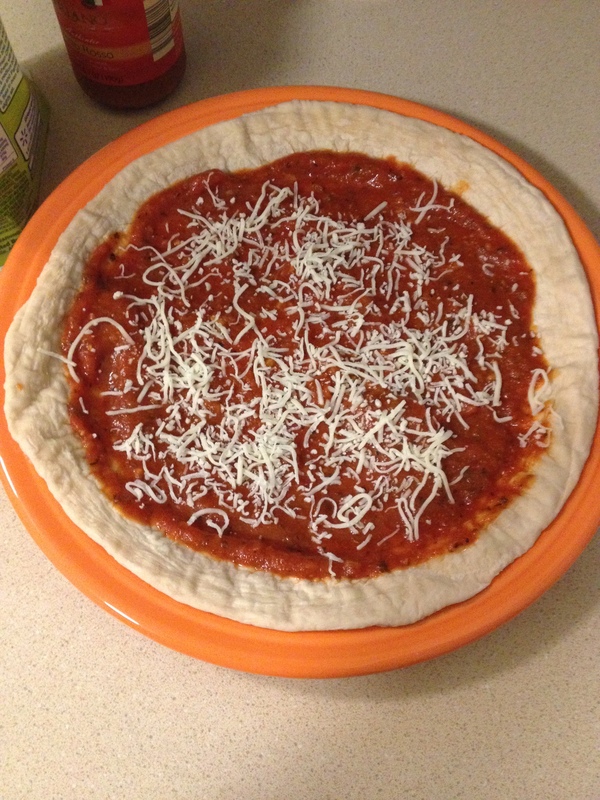 I had bought frozen organic pizza crusts from Trader Joe’s awhile back, so I decided to make one for dinner! I had veggies and cheese, then added some pesto when I cooked the veggies to boost the flavor. The crusts are about 10″ around, so they are personal sized. I had half for dinner and ate the rest for lunch the next day. It was just as delicious reheated! 1.) 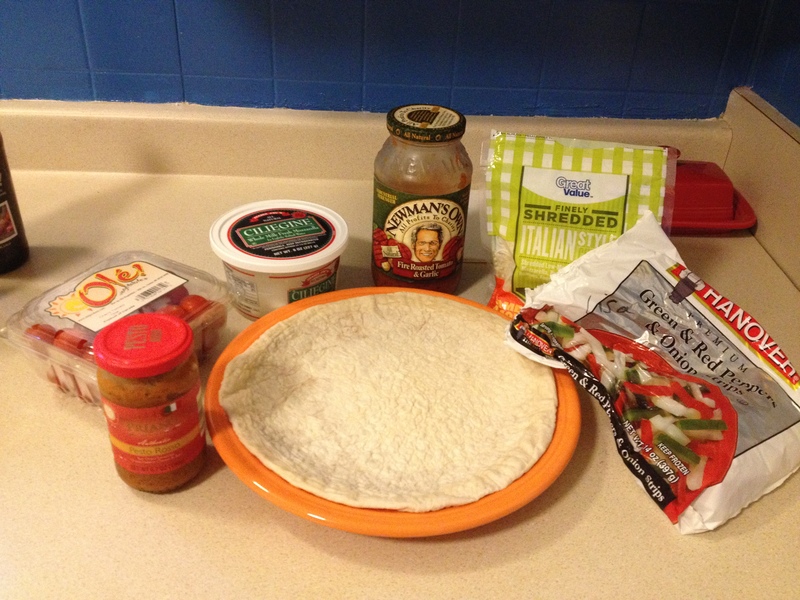 First, let crust thaw per package instructions (about 15 minutes). Preheat oven to 425 degrees F. 2.) 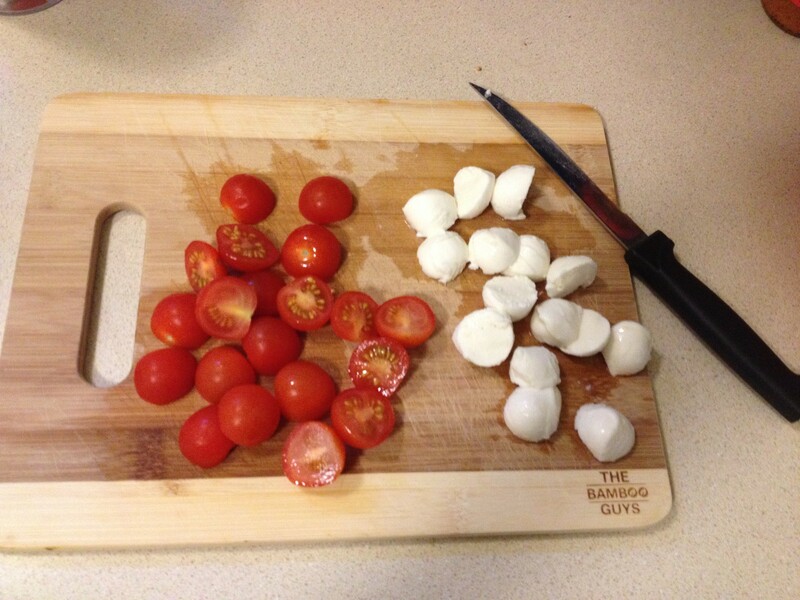 While the crust is thawing, cut cherry tomatoes and mozzarella balls in half. 3.) Next, saute onions and peppers until cooked. 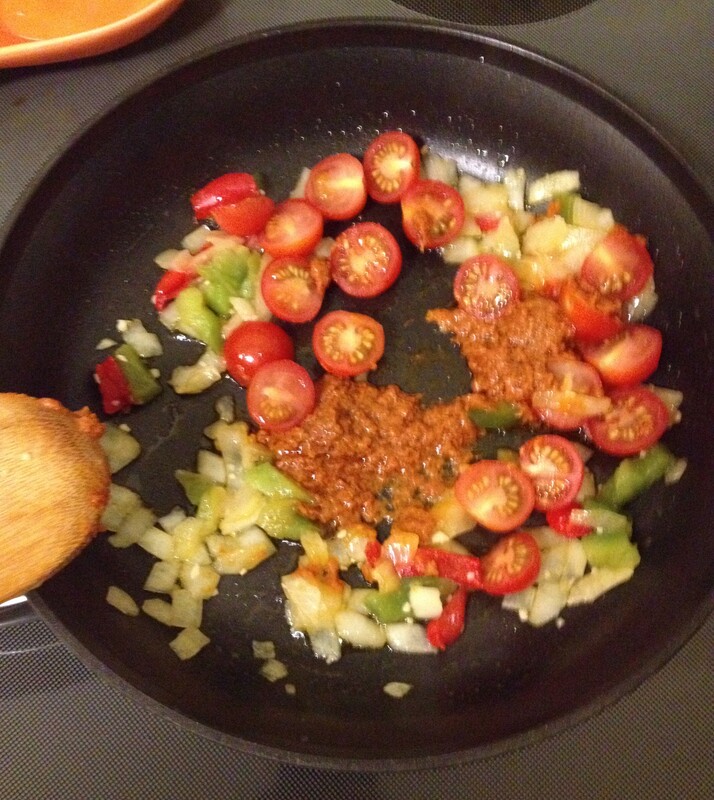 Add in cherry tomato halves and pesto and cook until soft. 4.) 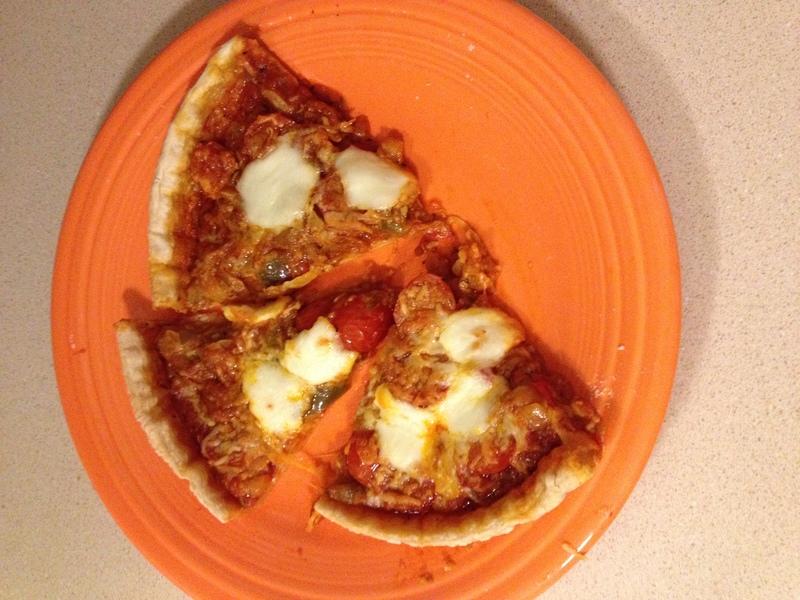 Put a thin layer of pasta sauce on pizza crust and top with shredded cheese. 5.) 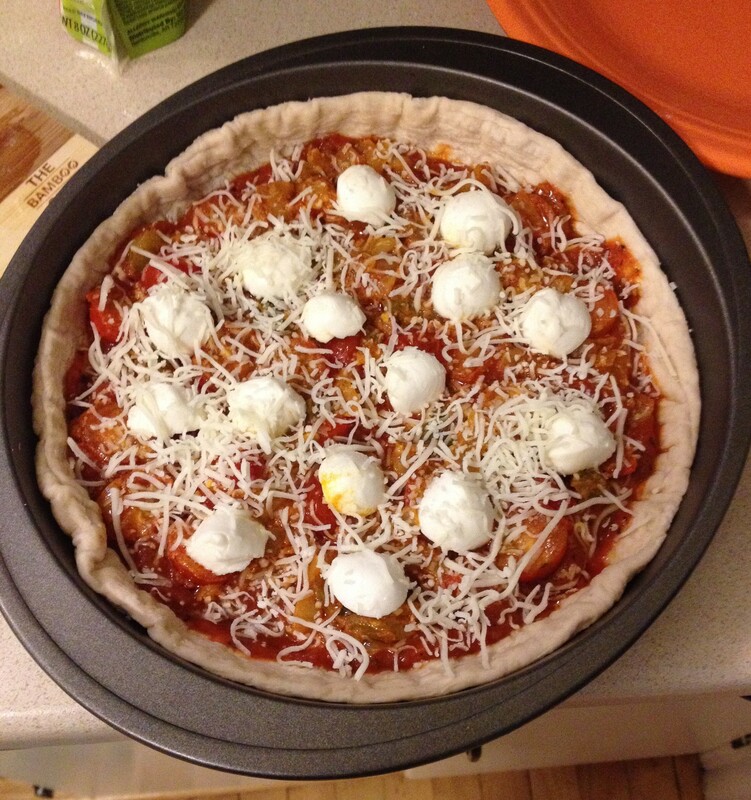 Then add in the pesto veggies and top with mozzarella balls and more shredded cheese, if desired. 6.) Bake for 12-15 minutes until toppings look bubbly. 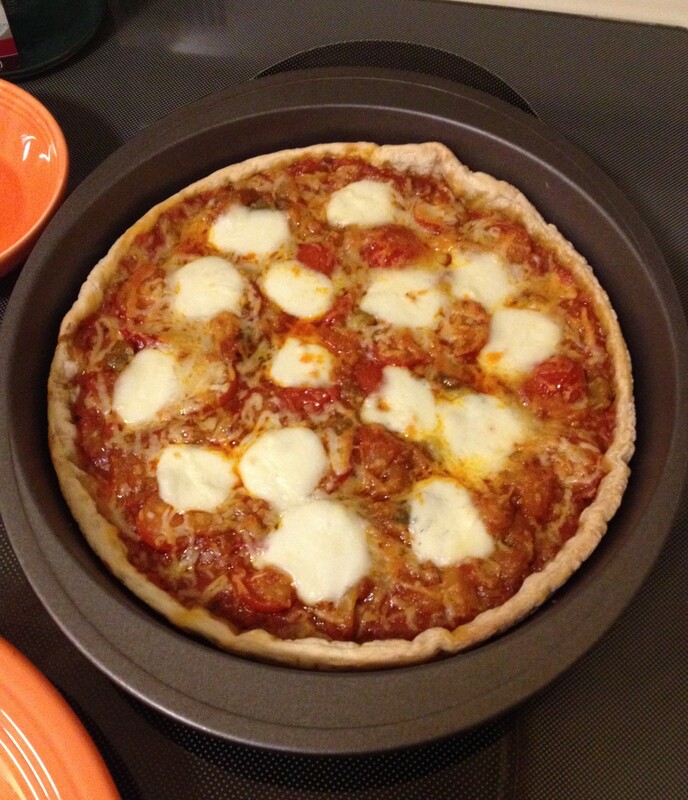 The crust was a little soft on the bottom of mine, so I probably could have cooked it a little longer. It may have been because I had a lot of toppings! Ok that looks fabulous ! I need to pick up these crusts the next time I’m at Trader Joe’s! yum this looks really good! 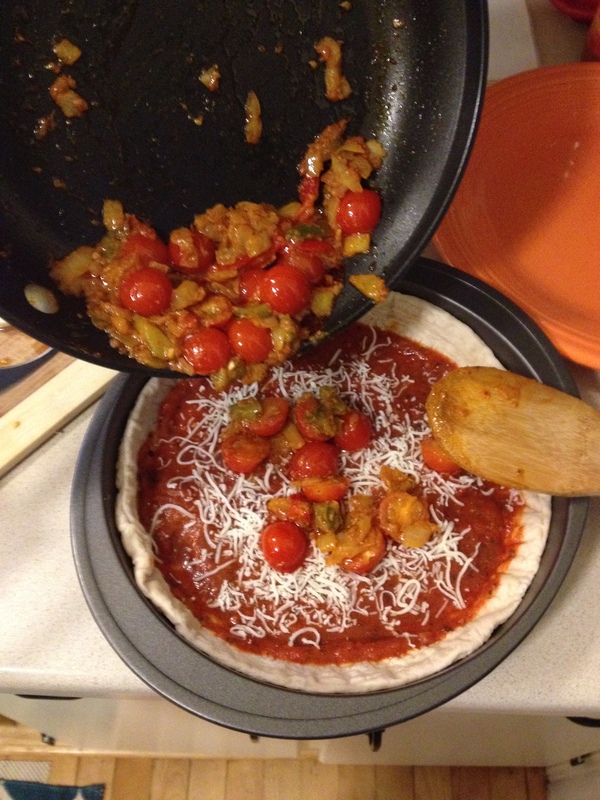 I never tried trader joe’s pizza crust and now i have too!! !